If $f'(x) > 0$ on an interval, then $f$ is increasing on that interval. If $f'(x) < 0$ on an interval, then $f$ is decreasing on that interval. 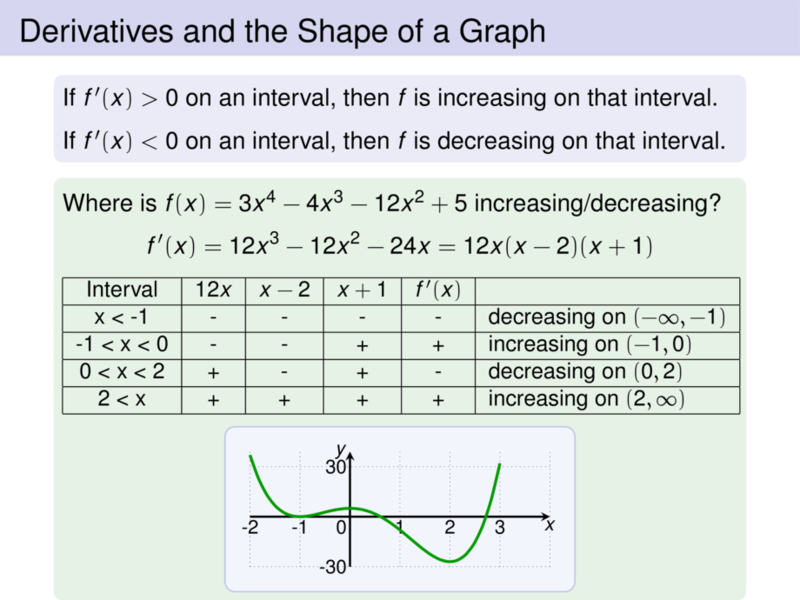 Where is $f(x) = 3x^4 - 4x^3 -12x^2 + 5$ increasing/decreasing?